The Christmas lights scene in National Lampoon’s Christmas Vacation never fails to make me laugh out loud. I wonder if there are similar festive issues when the Faucher family of Delaware in the United States turn on their one million lights? Clark Griswold causes a neighbourhood blackout with his 25,000 fairy lights so it does make you wonder about powering the Faucher’s one million light Christmas display. In fact, it costs US$82,320 per month to light up the Faucher house – that’s a lot of Christmas spirit! And because we live in an energy-conscious society, it has been reported that if the Faucher’s chose LED lights instead of ordinary globes, the cost of the lights per month would drop significantly to $10,680. 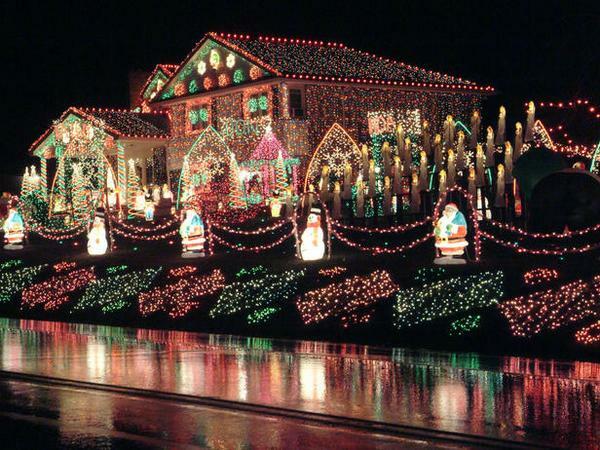 Are you going Griswold this year and decorating the house with Christmas lights?